These favorite, irresistible children's songs will add fun and excitement to your child's playtime. 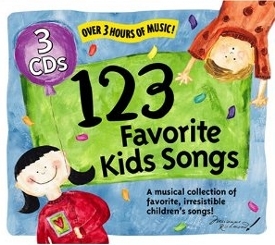 This collection is jam-packed with songs about make-believe characters, nonsense words to build vocabularies and tunes that encourage singing and dancing. Music is a wonderful adventure where kids develop their imagination and increase their brain power!